All packages run from five to seven days; provide one-on-one hunting; and includes food, lodging, and transportation during your hunt. Most importantly, we specialize in designing a hunt to fit your special needs and wants. We begin our bull elk hunts in the middle of August with the archery season, followed by the muzzleloader hunt. 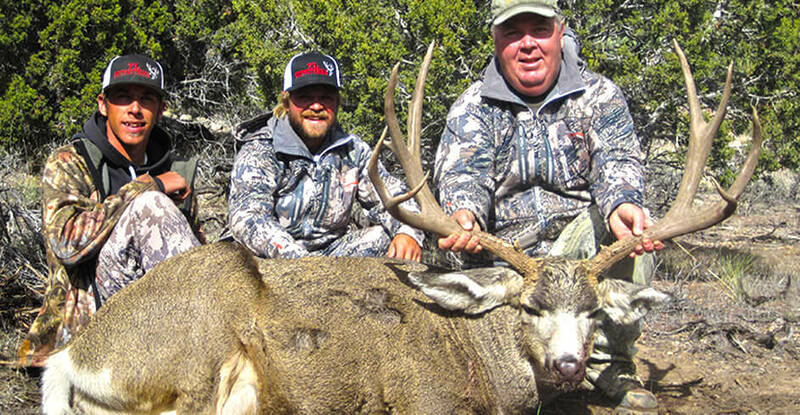 Since both of these packages are during the rutting season, the hunter has an excellent opportunity to harvest a trophy bull. With October and November come the rifle hunts. Again, Nevada is in a class of its own since these seasons are controlled by a draw. Thus, the hunter can enjoy relative peace with the limited number of available tags. In addition to bull hunts, we offer guided packages during all cow seasons. With the plentiful number of cows in the area, success is almost guaranteed. 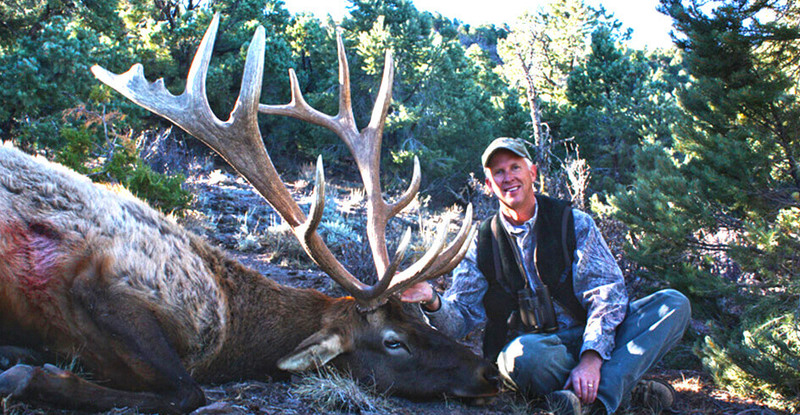 The mule deer hunts begin in August and run through November. Again, we offer archery, rifle, and muzzleloader packages. For over sixty years, our family has harvested a number of trophy bucks. Hunting big bucks has always been a favorite family pastime. Again because a limited number of tags are available (local biologists manage the herd at thirty bucks per one hundred doe), the deer enthusiast has an excellent opportunity to tag a trophy animal. 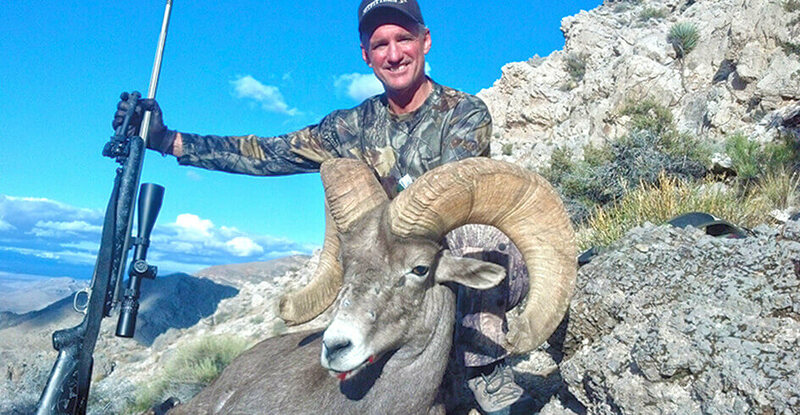 Nevada's desert bighorn sheep herd is growing and doing well in most areas. In this region, the sheep harvested are consistently in the 150- to 160-class with a few 170-class rams. There are an extremely limited number of available tags. Areas are comprised of extremely rugged to low impact terrain. Weather conditions are usually mild. 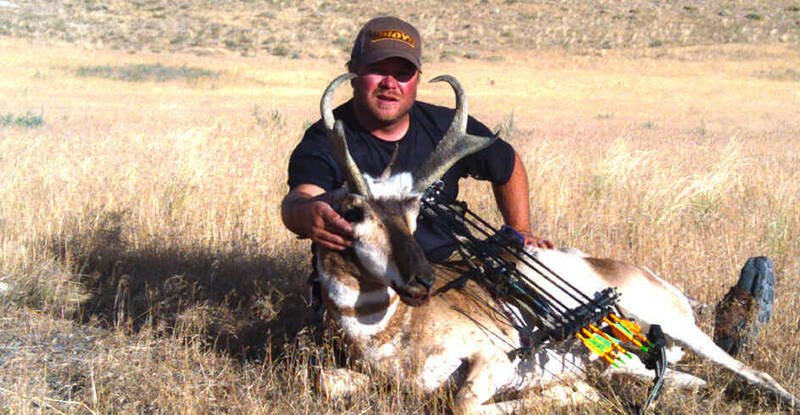 Primarily, the antelope hunt appeals to the hunter because of the low number of tags available and the enjoyable experience. The hunter will most likely see a plentiful number of bucks to choose from; however, the average antelope is mid 70's to low 80's with a horn length of 14 to 15 inches. Our varmint hunts run from September through February and offer coyotes during all six months (resident and nonresident) and bobcat, gray fox, and kit fox in season (November through February for residents only). These hunts can include both nighttime and daylight hunting since spotlighting is legal in this area. Varmints are coaxed in primarily by various types of predator calls. We also encourage you to bring a camera for some of nature's most exciting photography. 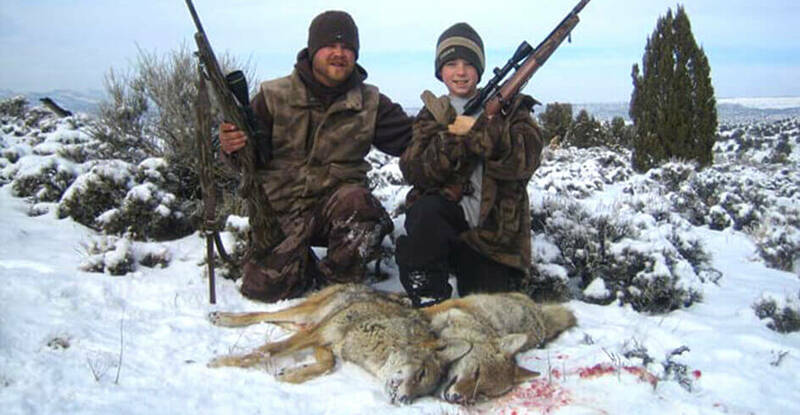 We offer these packages on a daily basis and as attachments to big-game hunts.